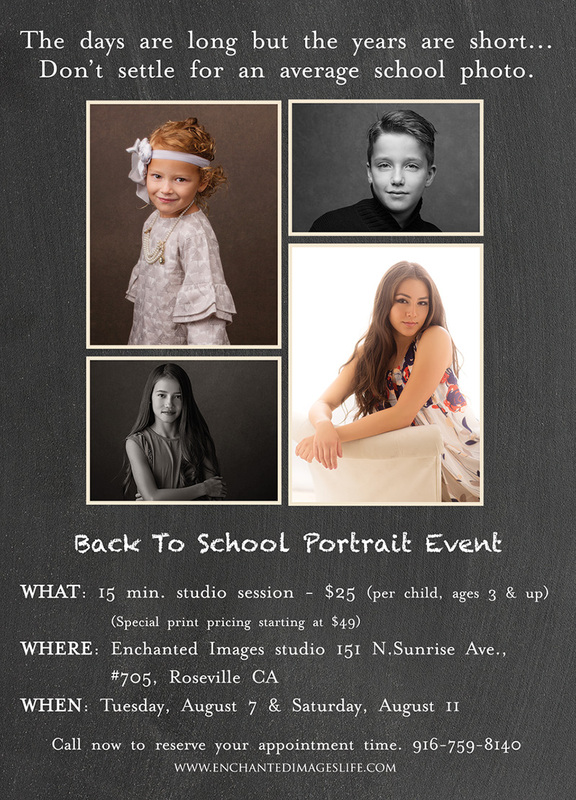 As summer comes to a close and the beginning of the school year is fast approaching, we decided it was the perfect time to give you an alternative to the same old ho-hum school portraits of your kids. These school years fly by, even though sometimes the days seem never-ending and before you know it, your littles are all grown up. No matter how old, school-aged kids (and you!) deserve better portraits that will really capture who they are, at the age they are, and be beautiful enough to make you not want to switch them out every year! 🙂 This is exactly why we’ve decided to hold our back-to-school portrait event once again. We will photograph 2 different looks/backgrounds, one light/white and one darker/neutral. This will give you 2 completely different looks and also make clothing selection super easy. For the light look, white/cream is perfect (or lighter pastels) and for the darker look, dark clothing looks best (see examples below). Unlike school pictures, you will come back to the studio to see your images and be able to choose from a selection to order the images/sizes that work best for you (the best part–special pricing is available for this event!). Space is limited for these sessions, so please be sure to call today to reserve your spot. Don’t let another year pass by without an extra-ordinary portrait of your child.